One more day until the weekend! I hope that you had a wonderful day. My day was okay. Today was my last class before exams next week. Super excited for this semester to be over and to be closer to my goal. I feel like I haven't done a stamping nail art in a while so that's what I'm going to show you! 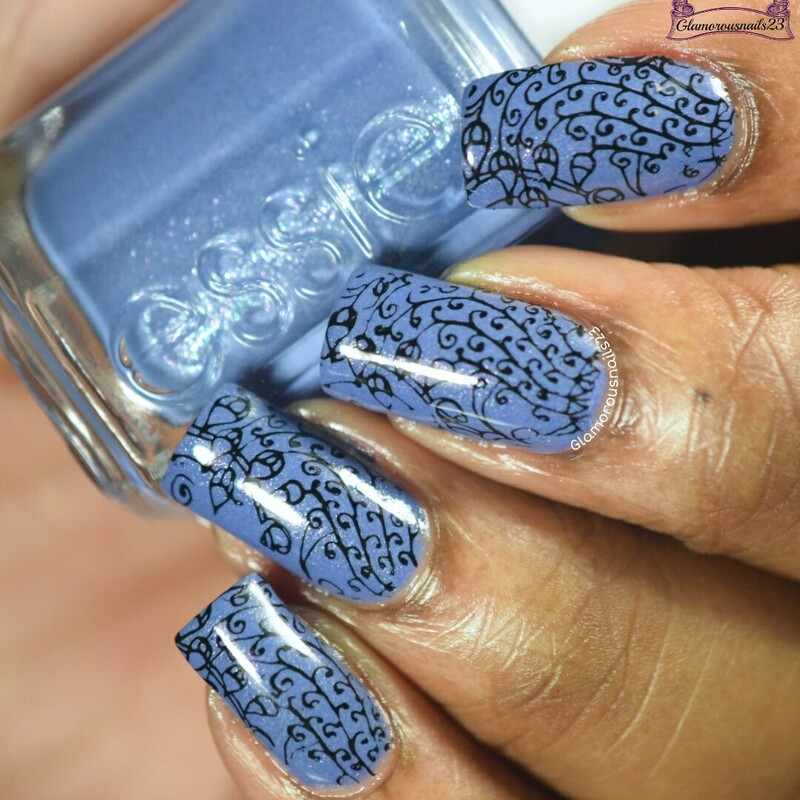 I couldn't think of a name for this post so I just went with the name of the stamping plate that was used for this mani lol! I adore this image that I used so much. Maybe too much but I don't care. 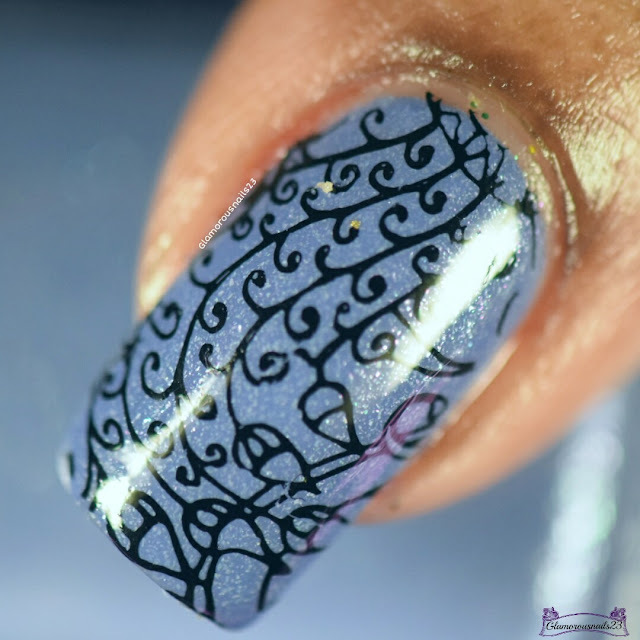 I was overly excited once I stamped with this image and saw how it turned out! My mom liked this so much that she asked me to do it on her toes! I always also pretty sad when it was time to take this off. Bundle Monster: BM-S106 "Wrapped In Secrets"
Do you always have a clever name for your posts? 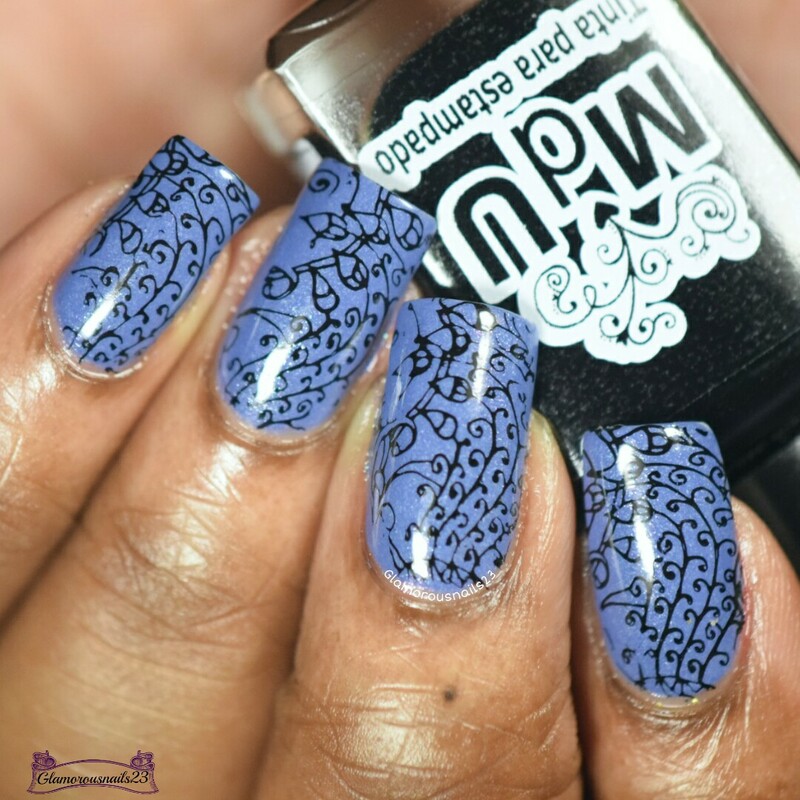 When was the last time you did some stamping? 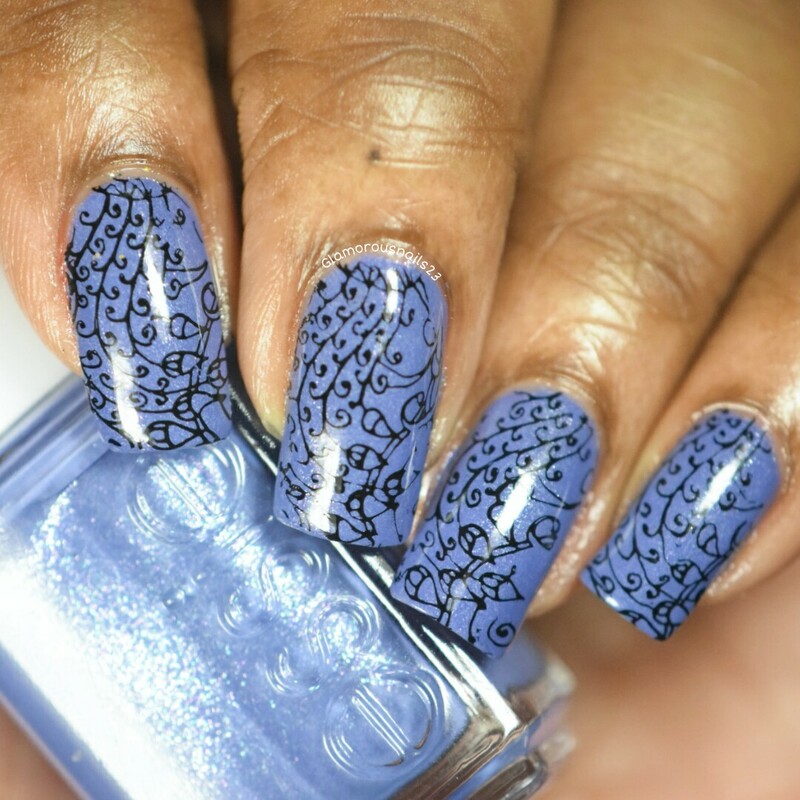 Have you ever liked a mani so much that you didn't want to take it off? Don't forget to leave a comment below! Essie smooth sailing seems a lot like Zoya Aster (the newest spring collection) a lilac color with multi colored glass flecks? Although smooth sailing looks more blue than lilac. Smooth sailing is definitely more blue than lilac. Funny that you said that because when I put it on I was like this reminds me of a Zoya polish but for the life of me couldn't remember which one it was!